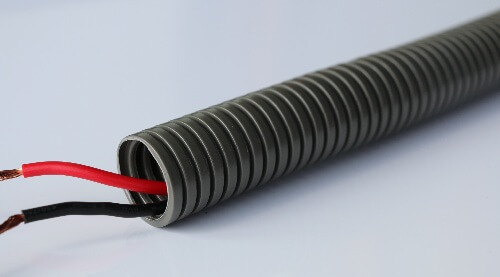 In our daily life, plastic flexible conduit is becoming more and more popular. They are widely used in wire and cable protection. Although we can find them everywhere, but most people know little about them. Here, you can find three kinds of popular plastic flexible conduit. 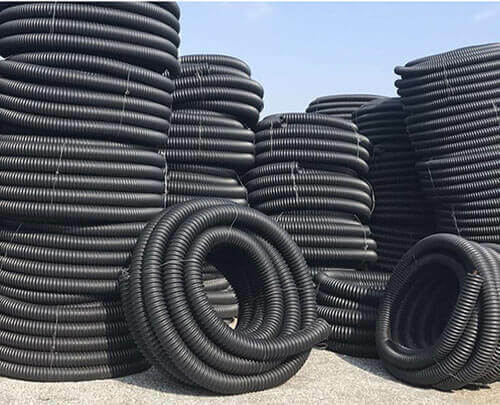 Corrugated plastic flexible conduit is general type. It’s outside and inside are bellows. So it can protect cables well. It’s often produced by PA, PP, PE and PVC. Due to the different using place, we choose the different materials for them. In the hardness, PA＞PP＞PVC＞PE. But in the durable and price, PA＞PP＞PE＞PVC. If you’re going to protect a series of cables. I think split plastic flexible conduit is a good choice for you. Split plastic flexible conduit is split. It is easy for you to put cable in and take them out. Sometimes people will be worried about the cables will fall out from conduit. Please don’t worry about, after put all cables in, we will often use wrap tape to fix conduit. Most people know corrugated plastic flexible conduit and split plastic flexible conduit. But they know little about HDPE spiral flexible conduit. HDPE spiral flexible conduit is spiral conduit, makes it stronger and durabler than general flexible conduit. Furthermore, it can be produced in big diameter. We can produce 300mm outer diameter of HDPE spiral flexible conduit. It is nearly impossible for general flexible conduit. If you have any questions or comments on plastic flexible conduit, please feel free to contact us.